The multi-purpose weights and fitness rig is a fantastic complement to any fitness routine and indeed any professional gym. Its provision allows our gym members to experience a different aspect of the Arena’s facilities. It can act as a stand-alone work out area or as a perfect, complementary addition to your indoor gym experience. 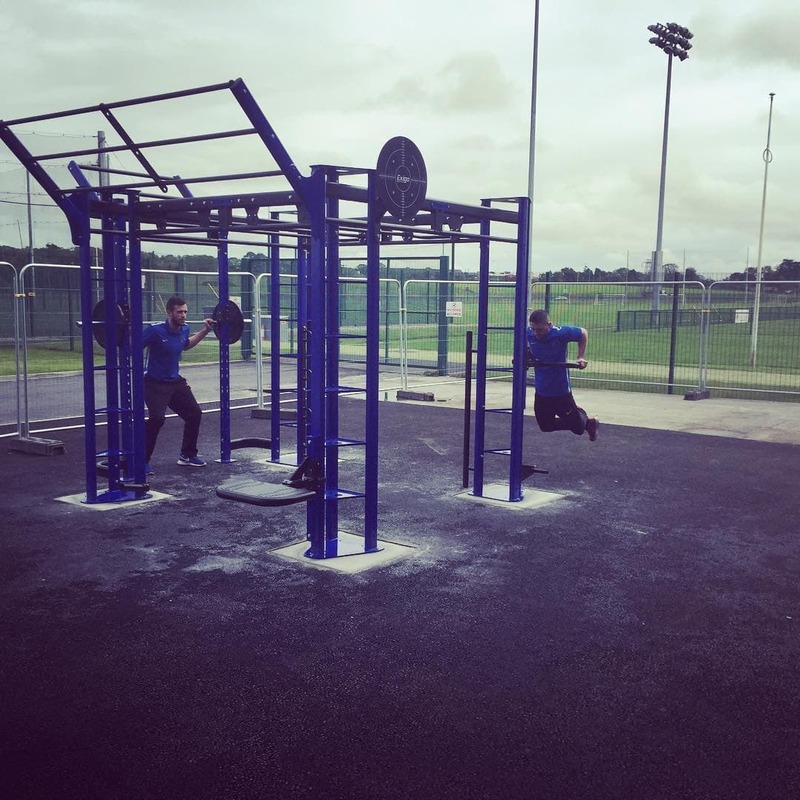 All members of WIT Arena will have access to the outdoor rigs, prowlers and all functional training equipment. The arena’s highly skilled instructors will be on hand to help members maximise their functional and outdoor training. The Arena yields a variety of attachments and accessories that can be used with the multi-functional rigs to maximize their effectiveness. The fitness rig can accommodate a large number of individuals rendering the site as an impressive facility for team and group sessions. The rigs can be used solely for body weight and suspension type training or can also incorporate a level of weight training. This can consist of Olympic bars for specific lifts, benches and kettle bells. Members and teams will also be able to utilise the vast space of the outdoor facilities to incorporate tyre workouts, prowler workouts and hill workouts. The primary benefit of our outdoor facilities is its ability to provide an authentic, functional training option for both the individual and the collegial group. Strength Training - squats, deadlifts, rows, presses, olympic weightlifting etc.